CYNDI LAUPER. S10E9 CYNDI LAUPER. 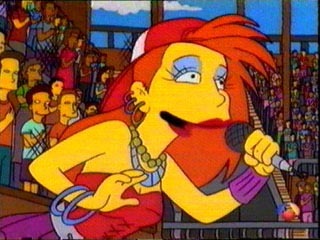 Wallpaper and background images in the os simpsons club tagged: the simpsons cyndi lauper. This os simpsons Screencap contains anime, banda desenhada, manga, desenhos animados, mangá, and quadrinhos. I do not want to go!!!!!!!!!!!!!!!!!!!! !